On the banks of the Li River in Guilin lies this charming natural rock formation. You can see from this picture why it is called Elephant Rock. The effect of the rock formation is that of an elephant drinking water. An elephant's thick legs also formed naturally as is its trunk. 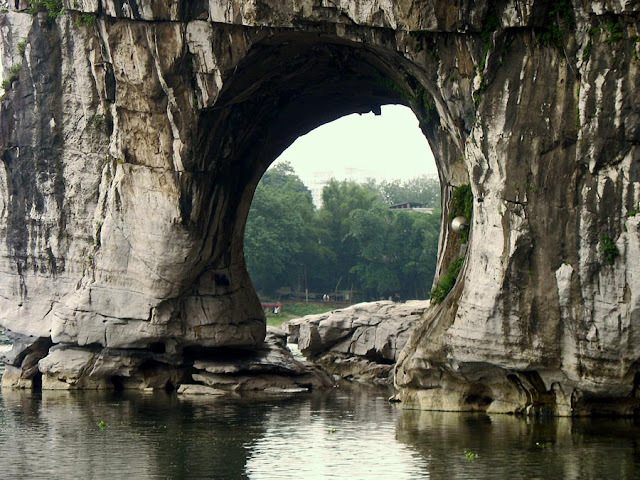 The Chinese are very fond of this symbolic formation and this natural monument has become associated with Guilin, a city which is a popular destination for tourists. 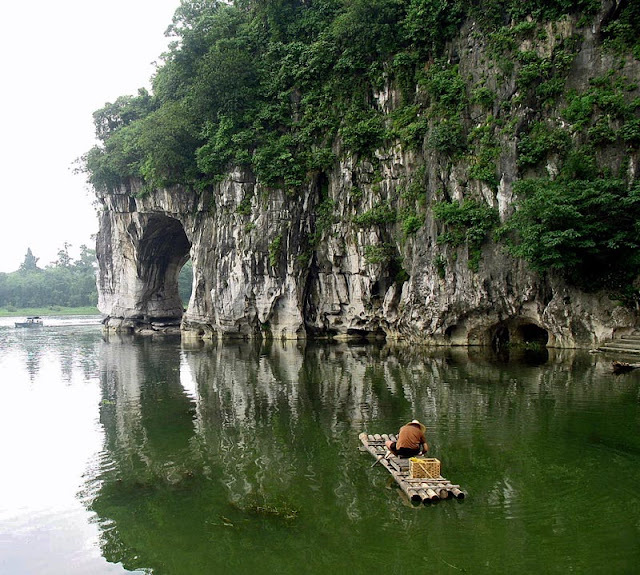 In this photograph in the foreground there is also a boatman on a raft made of logs. A closer look at Elephant Rock in Guilin, China. Or more images from China of the Chinese people, and of other important places in China.